So, how about those Devils? Last night, they beat the Flyers 3-1 to finish off Philadelphia in five games and advance to the Eastern Conference Finals for the first time since 2003, and for the the seventh time in franchise history. After losing Game 1 in Philadelphia, a disciplined New Jersey team ran off four-straight victories over the Flyers, and they now await the winner of the Rangers-Capitals conference semifinal. 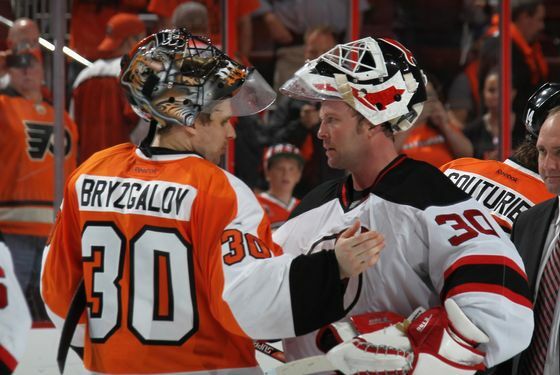 In Bryzgalov-ese, that's what's known as a humangous big mistake. The Devils, meanwhile, could know their third-round opponent as soon as tonight, when the Rangers try and finish off the Capitals in Washington.